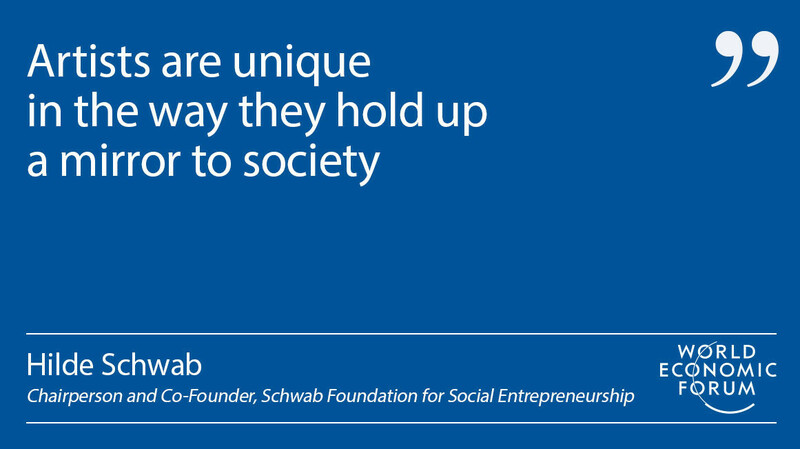 The World Economic Forum’s 48th Annual Meeting in Davos will begin later this month, under the theme of “Creating a Shared Future in a Fractured World”. Artists are unique in the ways that they hold up a mirror to society—so that we can see the fractures more clearly, but equally that we can be reminded of our essential shared values. The 24th Annual Crystal Awards celebrate the achievements of outstanding artists who have shown exemplary commitment to improving the state of the world. We are delighted this year to honor actors and directors Cate Blanchett and Shah Rukh Khan, and musician Sir Elton John. Each of them in their own way has taken action to uphold human dignity. The awards ceremony will take place on the evening of Monday, January 22, launching the Annual Meeting. It will serve as a marker of the intention of the Meeting and as a reminder to us all of our responsibility to act with respect, generosity and compassion. Cate Blanchett is an internationally acclaimed award-winning actor and director of both stage and screen. Appointed a UNHCR Global Goodwill Ambassador in 2016, in recognition of her commitment to refugees, she has lent her voice and influence to raising awareness, advocating and fundraising for the UNHCR. Having met refugees in countries including Lebanon, Jordan and her home country, Australia, she advocates for increased solidarity and responsibility sharing for the 65 million-plus displaced people across the world. She has brought her creative skills to bear in sharpening focus on the individual human stories that lie behind the vast numbers. Sir Elton John is one of the world’s most successful musical solo artists of all time, whose career has spanned more than five decades. With thirty-five Gold and twenty-five Platinum albums, he has sold more than 250 million records worldwide. In 1992, he established the Elton John AIDS Foundation (EJAF), which today is one of the leading non-profit HIV/AIDS organizations. EJAF has raised more than $400 million to date to support hundreds of HIV/AIDS prevention, service and advocacy programmes around the globe. 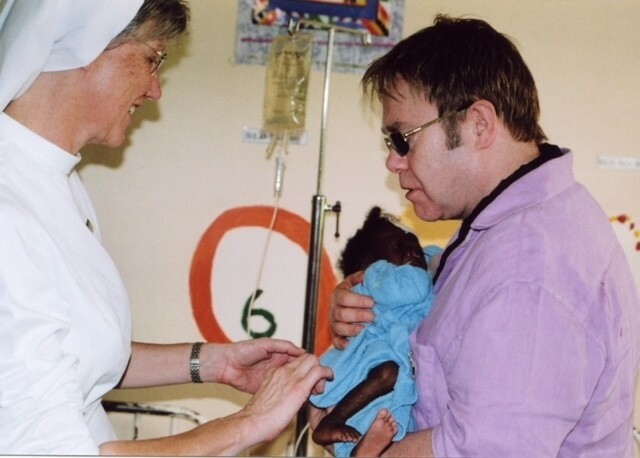 In 1998, HM Queen Elizabeth knighted him Sir Elton John, Commander of the Order of the British Empire for his services to music and charitable causes. Sir Elton John recently received the Harvard Foundation’s Peter J. Gomes Humanitarian Award. Shah Rukh Khan is one of Bollywood’s most prominent actors who has been at the forefront of the Indian film and television industry for over 30 years. He is the founder of the non‐profit Meer Foundation, which provides support to female victims of acid attacks and major burn injuries through medical treatment, legal aid, vocational training, rehabilitation and livelihood support. He has also been responsible for the creation of specialized children’s hospital wards and has supported childcare centres with free boarding for children undergoing cancer treatment.